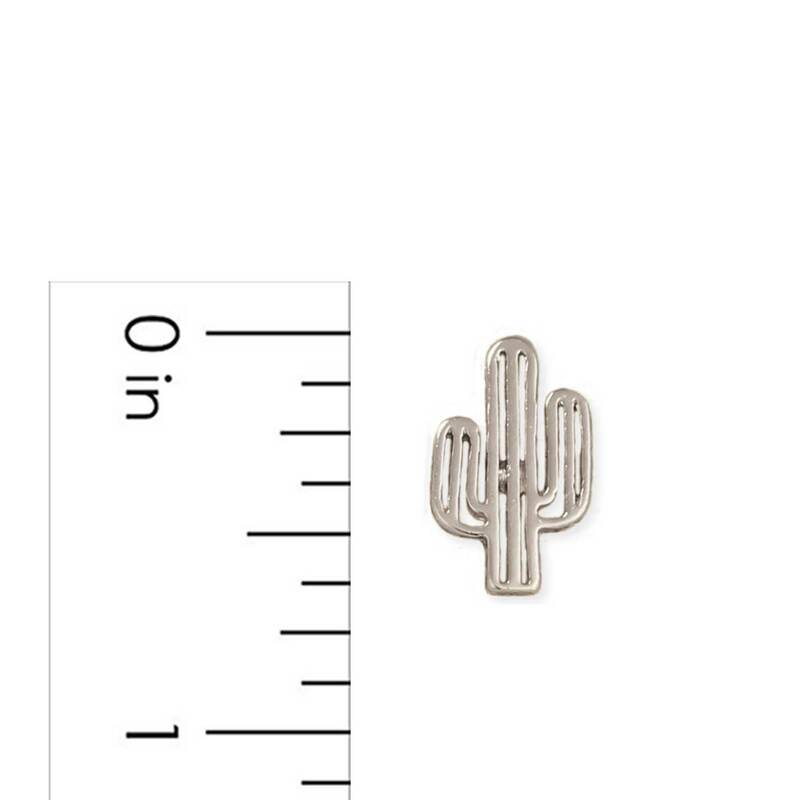 Add a little dose of the Southwest to any outfit with these dainty cactus post earrings! 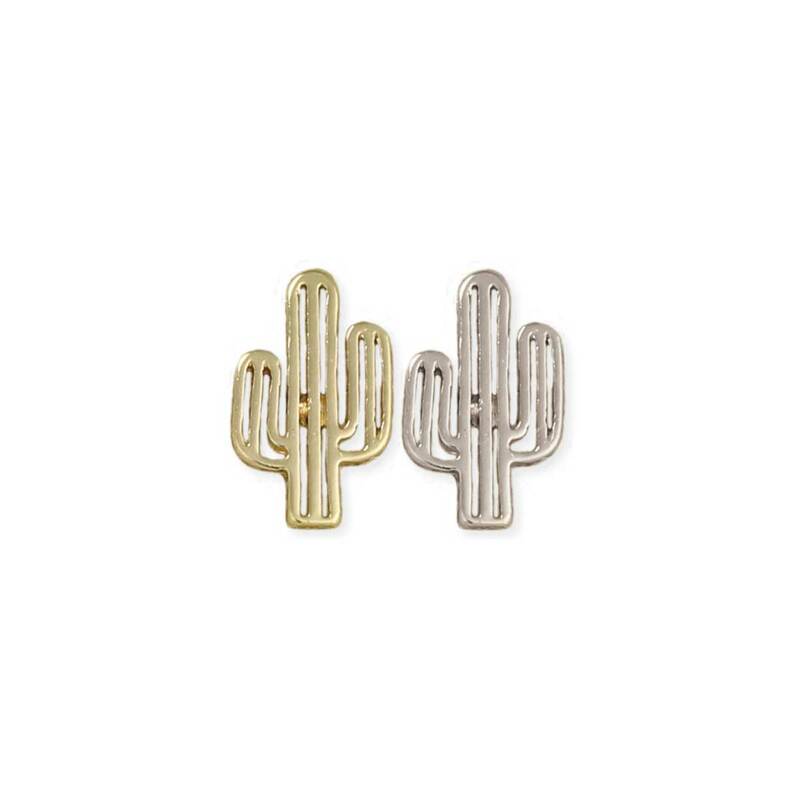 With a delicate cutout stripe design, these southwest inspired earrings won't add a prickle to your fashion sense! Measurements (approx.) 5/8" x 3/8"